This will be the third BFRO expedition in Arizona. The first expedition in Arizona led to the discovery of a very interesting cave in a remote part of the Fort Apache Indian Reservation that appeared to have been used by sasquatches. The second Arizona expedition focused on a different part of the Mogollon Rim zone and resulted some compelling incidents at night. 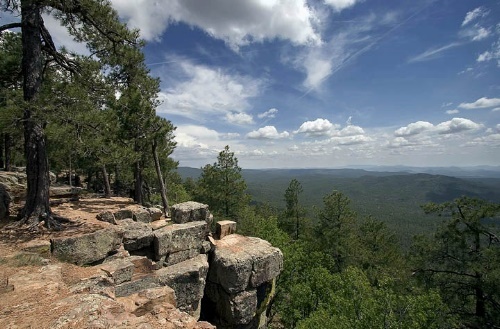 The Mogollon Rim is a not well known outside of Arizona. Its notoriety is greatly overshadowed by the Grand Canyon. Though not quite as visually spectacular as the Grand Canyon, it is much larger and far more devoid of humans along 95% of it. 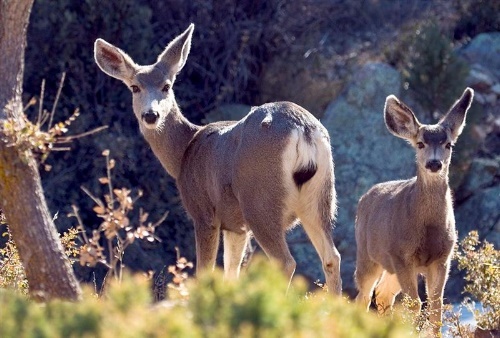 The Mogollon Rim is also more relevant to this subject because it has much more plant and animal life than the Grand Canyon. 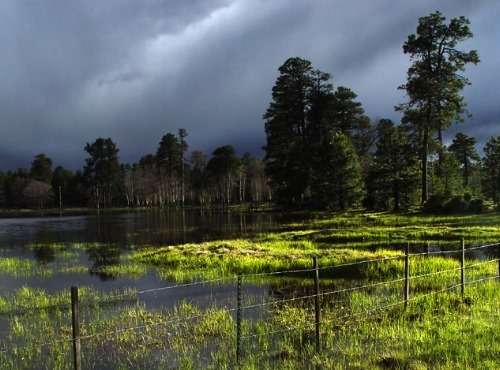 The section of the Mogollon Rim zone targeted in the second Arizona expedition likely has several different families of sasquatches that feed upon the abundant elk herds there. It is a surprisingly wet area, by Arizona standards. 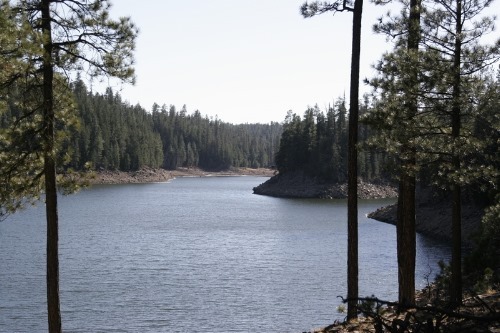 At the hottest, driest times of the year in the rest of Arizona, this particular portion of the rim receives very reliable precipitation, as humid air from the Gulf of Mexico is funneled up and over the rim, creating updrafts into colder air which results in massive thunderheads and rain showers nearly every afternoon. 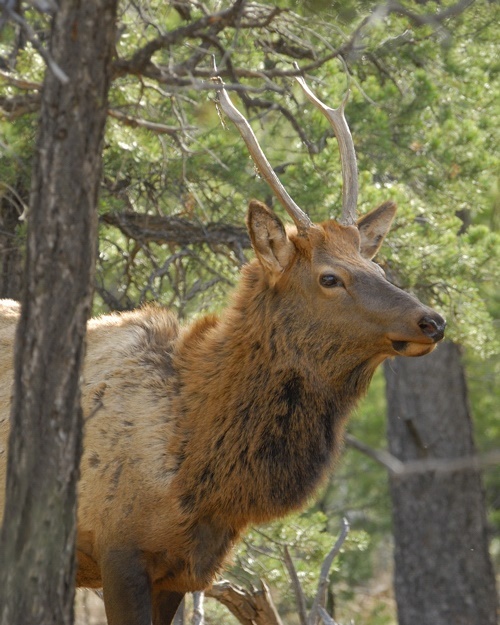 The vegetation in this area is surprising lush and green, supportiong a particularly large elk and deer population. Tim Zamiski organized the previous expedition to this area and will be leading the 2009 expedition as well. At this time Tim is accepting requests for participation by non-members. You can contact him to inquire via email (Arizona@BFRO.net) after you have read the Frequently Asked Questions about the expeditions.